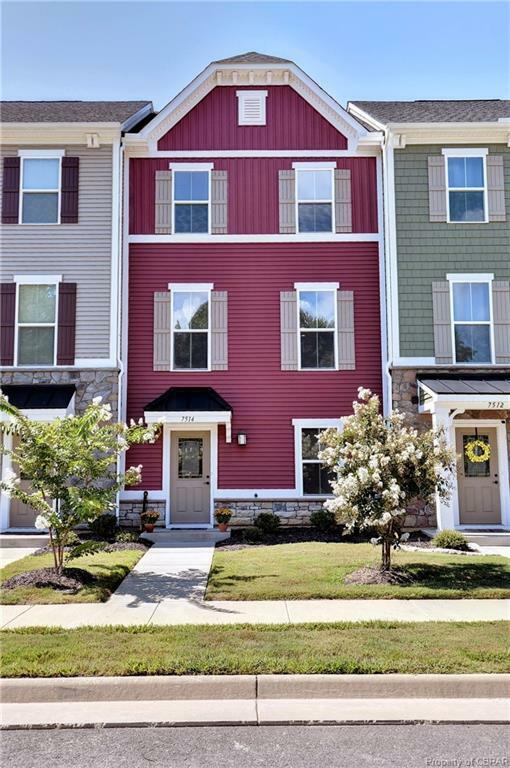 This 3 story townhome offers plenty of flexible space. With 3 bedrooms and 2 full baths, you can also enjoy the lower level office/living room and an additional room - perfect for recreational use or plenty of storage space! The second level offers an open floor plan with a spacious kitchen and dining area and plenty of natural light. The community has easy access to the interstate, grocery stores, shopping and restaurants and offers a park, playground, green spaces and nature trails.